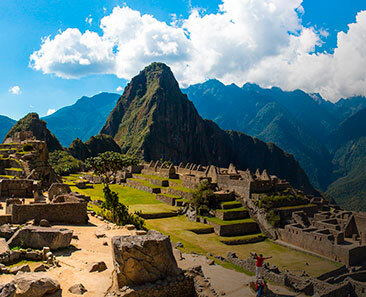 Inca Trail 2019 Classic Hike to Machu Picchu – Book Here with experts. Home » Inca Trail » Inca Trail 2019 to Machu Picchu. Book Here. 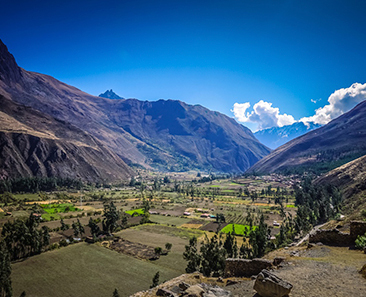 Book now your ticket for Inca Trail 2019. The Inca Trail that leads thousands of tourists every year to Machu Picchu is categorizing as one of the ten best treks in the world. Its amazing roads made of stone, impressive landscapes, the variety of microclimates and rich biodiversity make this stretch of the Inca Trail reach the category it has and unique in South America. The ancient settlers of Peru and South America. They built more than 60 thousand kilometers hiking trails for their multiple uses. Therefore, Machupicchu Andes Tours focuses on the 4-day Classic Inca Trail, which starts at km 82 and also on the Short Inca Trail that begins at km 104 of the railroad to Machu Picchu. 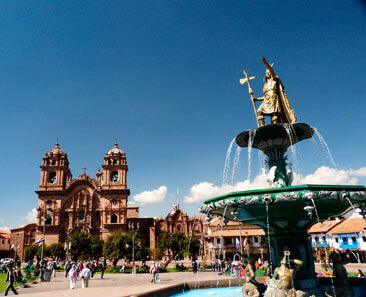 Inca Trail tour 1-Day. Cusco – Ollantaytambo – Km 104 – Wiñaywayna – Machu Picchu – Cusco. Inca Trail 2-day. Cusco – Ollantaytambo – Km 104 – Wiñaywayna – Aguas Calientes Town (spend the night) – Machu Picchu – Cusco. Classic Inca Trail 4-day. Cusco – km 82 – Wayllabamba – Pacaymayo – Wiñayhuayna – Machupicchu – Cusco. Salkantay and Inca Trail to Machupicchu 6-day. Cusco – Humantay Lagoon – Snow-capped Salkantay – Connection to Classic Inca Trail 4-day. Why should I book Inca Trail by 2019 in advance? There are regulations imposed by the Peruvian state that limit the Inca Trail traffic to 500 people per day, including guides, cooks, and porters who must carry all the camping equipment. The rules, do not allow pack animals on the Inca Trail, this for the conservation of the old stone road. The percentage of support personnel for hikers is almost 75% of the people who enter per day, and due to the high tourist demand on the Inca Trail, the spaces allocated for hikers are quickly depleted. For this reason, if you want to walk along this incredible path, you must book at least 6 or 7 months in advance and through an authorized travel and tourism agency to operate the Inca Trail, such as Machupicchu Andes Tours. How do I book my entrance to the Inca Trail 2019? 1.- First, choose three different dates: the first date should be the main one and two optional backup dates in case we cannot reserve your first option because it can be exhausted. But, this does not often happen, because the Machupicchu Andes Tours team works to obtain the first alternative. Full name as it is registered in your passport. In this case, send us the high-quality photo or scan of your passport, because any wrong or changes could invalidate your permit to enter the Inca Trail. Deposit $ 200 for each hiker, so we will be ready to reserve your Inca Trail permit for the date you chose. We have several payment methods: VISA, MASTER, AMERICAN EXPRESS and PAYPAL. After receiving your deposit, we will send you a confirmation email. Once we have all your required information and the deposit, we will place your order on our reservation waiting list for the requested dates. If you are in the process of renewing your passport, do not worry, send us your old passport information or your valid driver’s license and then update with your new correct passport number once you have it. We recommend that you wait calmly with regard to the start dates of the trek and wait to make reservations for flights, hotels and other travel plans until your Inca Trail permit is 100% confirmed. About changes to dates, information, cancellations, and refunds. We can change typographical errors or if there is a new passport number. The rules imposed by the Peruvian government does not allow name changes and transfer of entry permits. It is personal, so it is very important that you bring your document with which you made your reservation the Inca Trail to be able to show at the control points. Also, the Peruvian government does not allow changes of dates, cancellations, and reimbursements. Once we obtain the permit in your name and on the requested dates it is personal, it is 100% non-refundable and non-transferable. If you want to change the date, you must buy a new entry permit if it is available. About the beginning of ticket sales for the Inca Trail. The official sales of the Inca Trail 2019 opening, are made in October. Therefore, we must be ready to obtain your permission, and once we have your permission, we will send you an email with confirmation. Then, you can start to book your flights, hotels, etc.